This weekend saw LPS runners travel far & wide in search of competition. Women’s captain Kirsty Longley made the journey to London to compete in the Thorpe Park half marathon. On a windy, but sunny day, temperatures were only just above freezing. On an undulating course, Kirsty stayed with the leaders for the first 8 miles before pulling away, a position she retained until the finish. Her time of 79.03 knocked over 3 mins off her time for the half marathon. Also in the capital, 4 runners took on the challenge of competing against the best in the country in the National Cross Country Championships, held at Parliament Hill. The best performance came in the U15B race where Tom Corcoran was pleased with his 173rd place out of over 500 finishes. In the senior men’s race there were 2,328 finishers with Kyle Nicholls 678th, over 50, Bernie Murphy 1320nd and over 60 Chris Pedder 1400th. 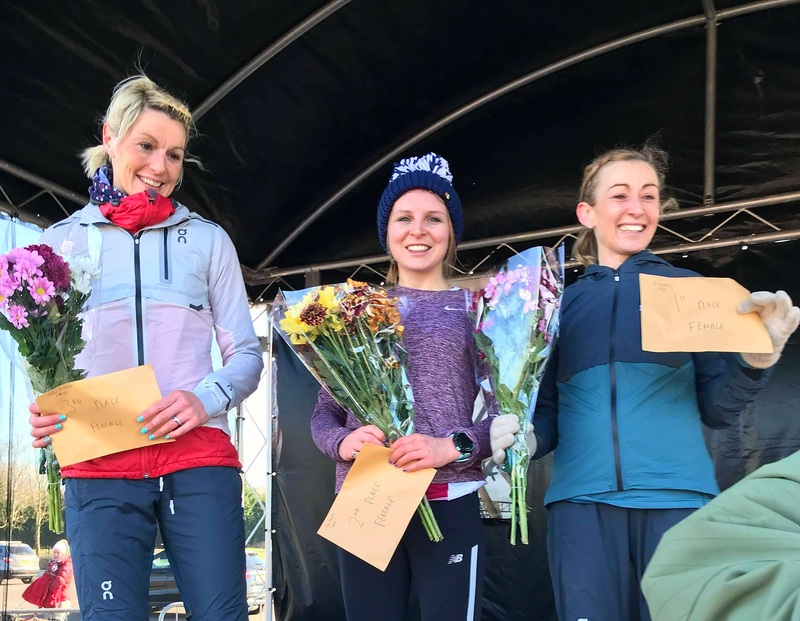 Triathlete, Helen Sahgal, continued her fine run of form, by finishing first lady at the Oulton Park 10K. This race is held entirely on the Oulton Park race track, with the finishing straight in the pit lane. Helen’s time of 38.55 was over 4 minutes ahead of the second lady and was good enough for 13th place overall. Greg Callaghan claimed first prize in the O55 category at the Standish 10K Trail race. His time of 43.05 secured him 20th place overall. Newcomer, Ian Doyle took on the challenge of the Inov-8High Cup Nick race. This is a fell race over 15K with an ascent of 450 metres . The race starts on the edge of the Eden valley and takes runners to the amazing High Cup Nick’ before returning along the Pennine Way into the scenic village of Dufton. Ian decided to take his camera for company & had to work hard to complete the gruelling course. Nearer home, three LPS runners battled it out at the Ormskirk Park run. U17 Adam Jones (16.49) got the better of men’s captain, Mark Wynne (16.57) who finished second with brother Dan Jones (16.58) in third place. All three recorded excellent times for the course.